Explanation: In the 1960s spring came to the southern hemisphere of Neptune, the Solar System's outermost gas giant planet. 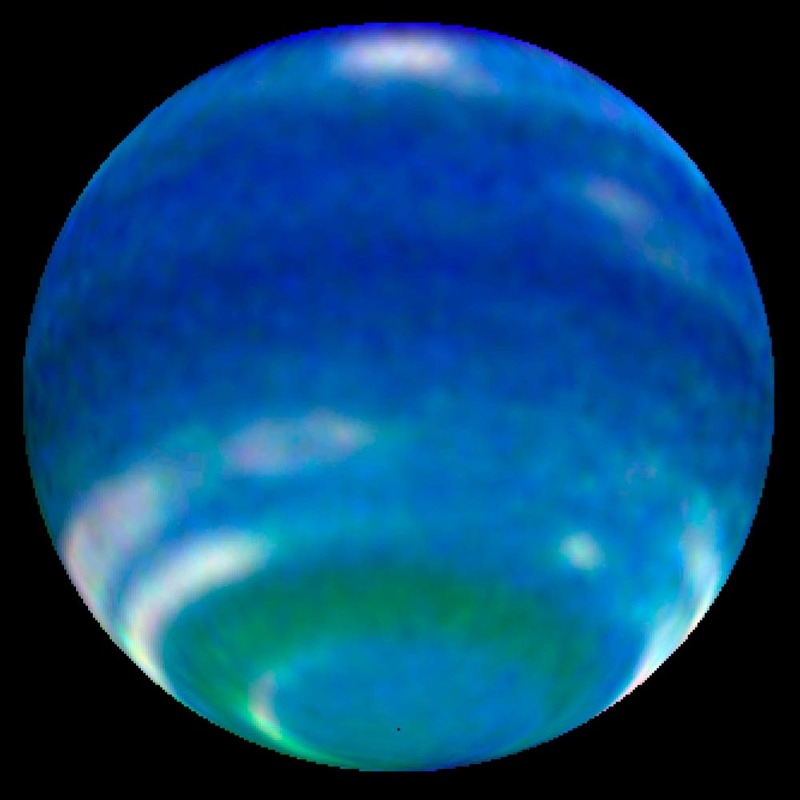 Of course, since Neptune orbits the Sun once every 165 earth-years, it's still springtime for southern Neptune, where each season lasts over four decades. 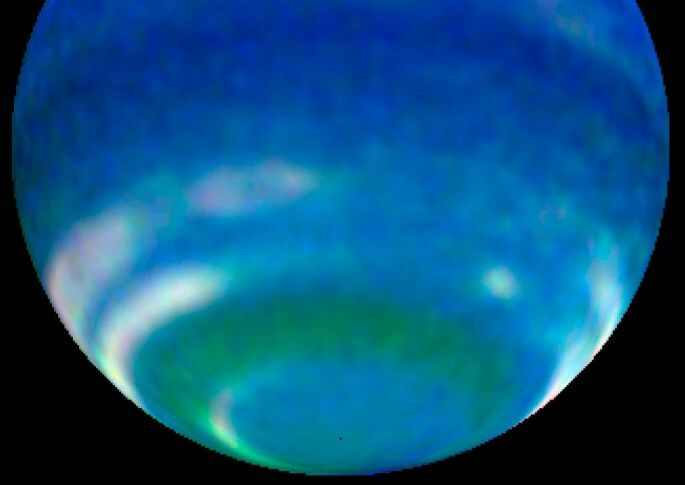 Astronomers have found that in recent years Neptune has been getting brighter as illustrated in this Hubble Space Telescope image made in 2002. Compared to Hubble pictures taken as early as 1996, the 2002 image shows a dramatic increase in reflective white cloud bands in Neptune's southern hemisphere. Neptune's equator is tilted 29 degrees from the plane of its orbit, about the same as Earth's 23.5 degree tilt, and Neptune's weather seems to be dramatically responding to the similar relative seasonal increase in sunlight -- even though sunlight is 900 times less intense for the distant gas giant than for planet Earth. Meanwhile, summer is really just around the corner, coming to Neptune's southern hemisphere in 2005.